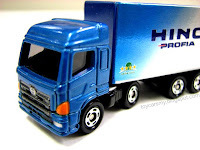 I was looking for this truck for some time after spotted it in the Tomica Display case. 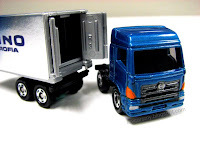 It is unusual to see Tomica produced detachable truck car. Jusco is having store-wide discount until 15 June 2008 including toys section. Tomica regular cars are 20% discount from the normal retail price.